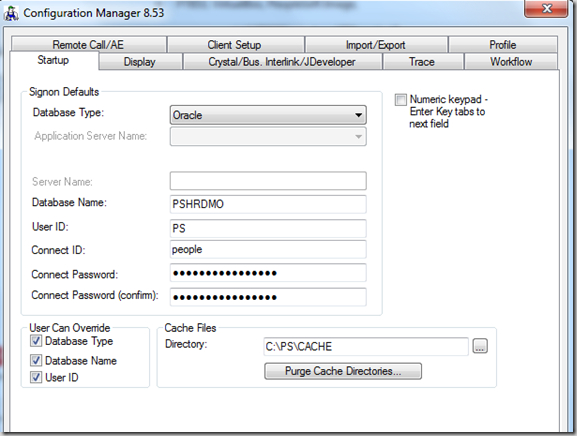 After finishing installation of PT8.53 application using Oracle Virtual Box, next thing you would definitely want to do is to configure Application Designer. 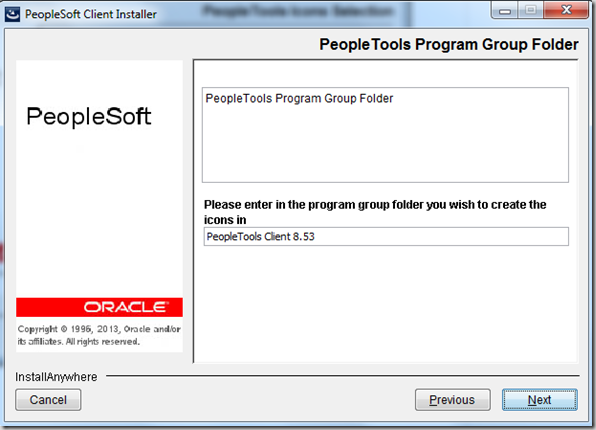 PeopleSoft Image that you installed also comes with setup files to help you install App Designer very easily. 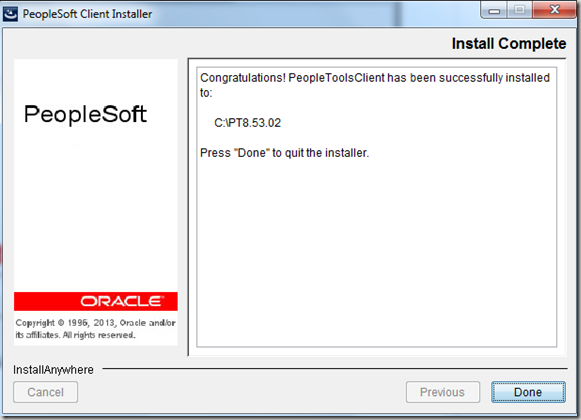 Before you start with installation and configuration of PeopleSoft Application Designer, make sure that you’ve already installed Oracle 32-bit Client from virtual machine network share. 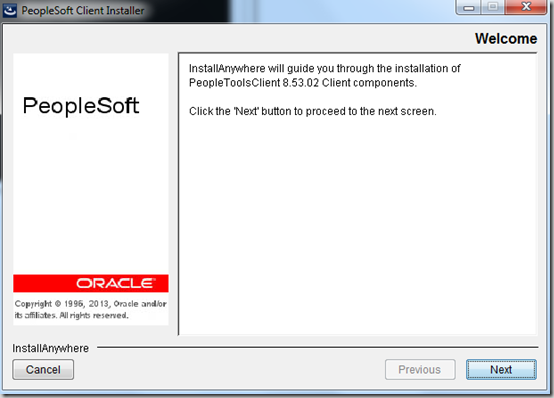 Step1 : Start the VM and then get the IP Address. 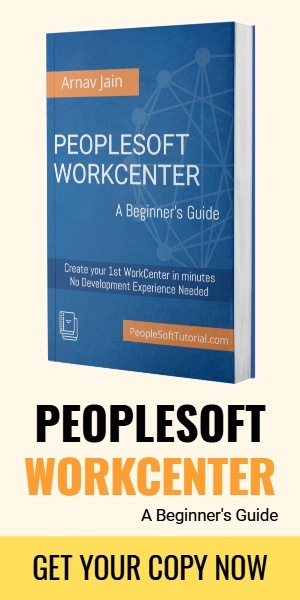 Enter ‘ifconfig’ command to get the IP Address of PeopleSoft VM. 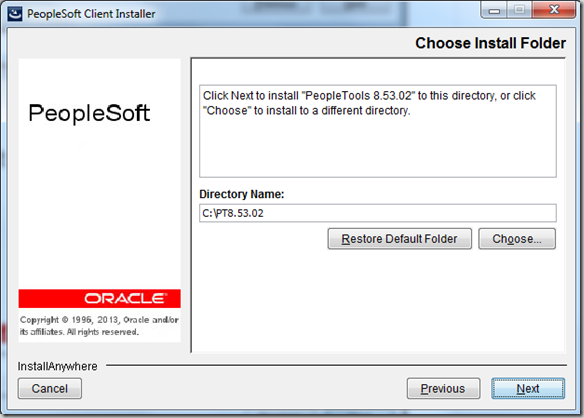 Step3: Open client directory and navigate to Client\Disk1 and double click setup.bat. 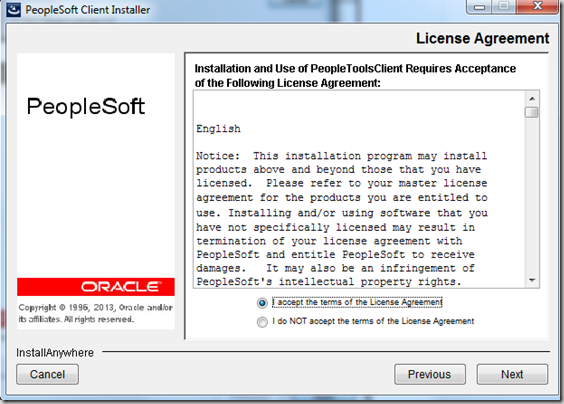 You need to accept the terms of License Agreement to move ahead with the installation. 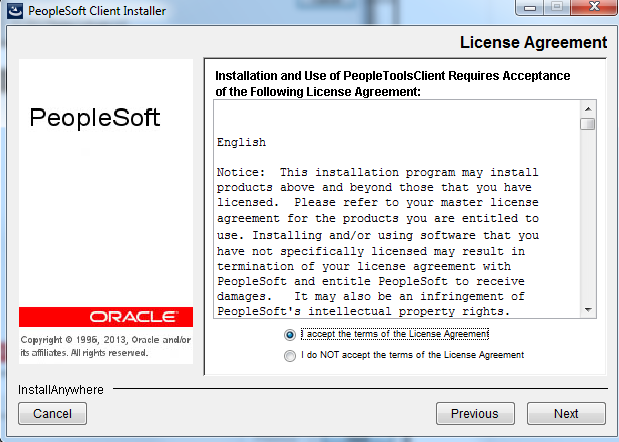 If you have PeopleSoft License Code, you can enter it here. 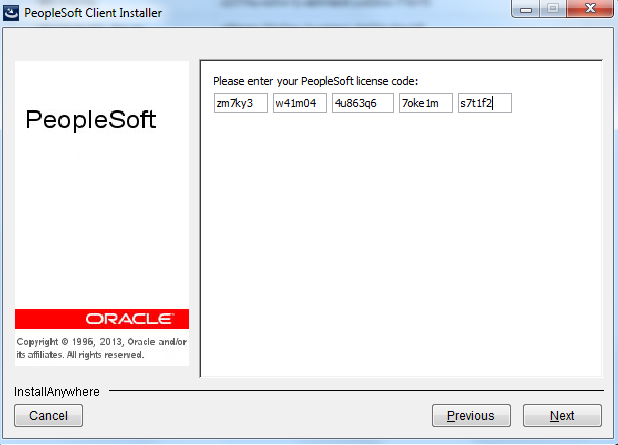 You can also use license codes provided by Oracle from here. 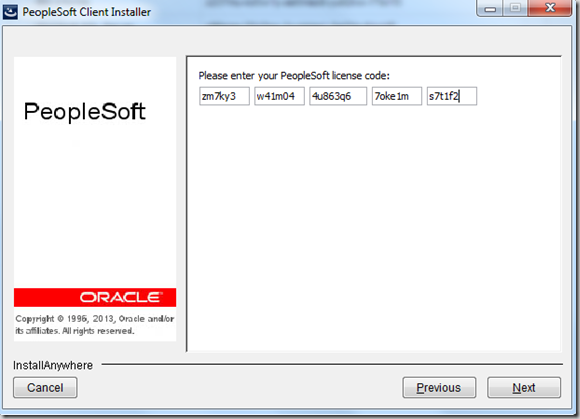 Note: PeopleSoft Image runs on Oracle Database, so you have to use license code for Oracle Database only. 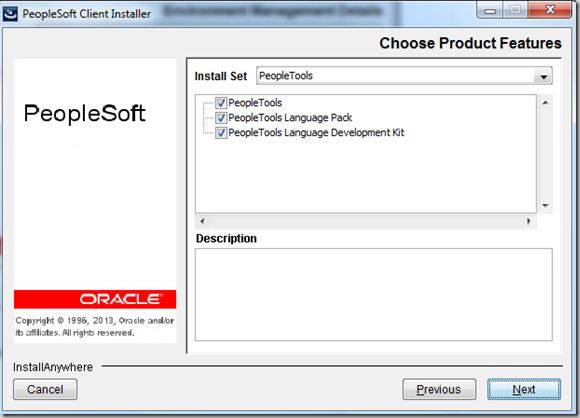 Customers who don’t wish to use Oracle Database, can go ahead with regular process of installing PeopleSoft 9.2 Demo Installation process. 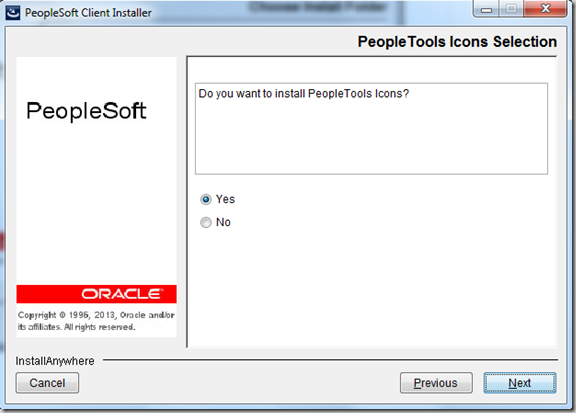 Choose the install directory where you want to install People Tools Client. Make sure the drive has enough space to accommodate the install. It took approximately 1.20 GB on my Windows 7 machine. 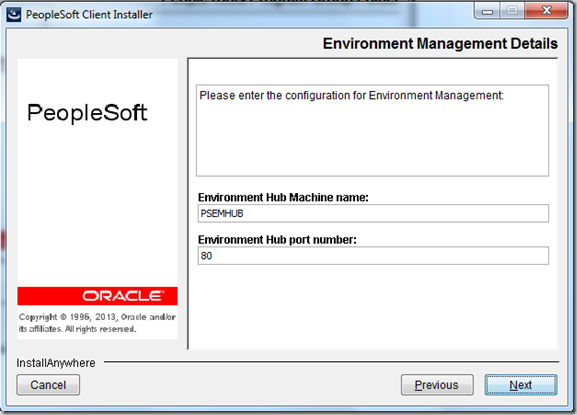 Enter the port for PSEMHUB. Default port is 80. After reviewing the configurations, click ‘Install’ to start the installation process. 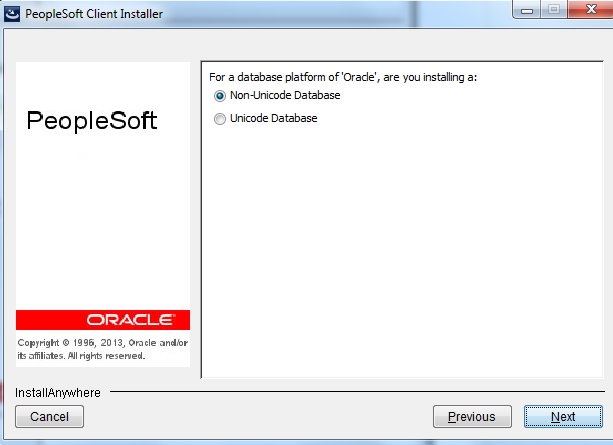 Installation process will take few minutes to finish. 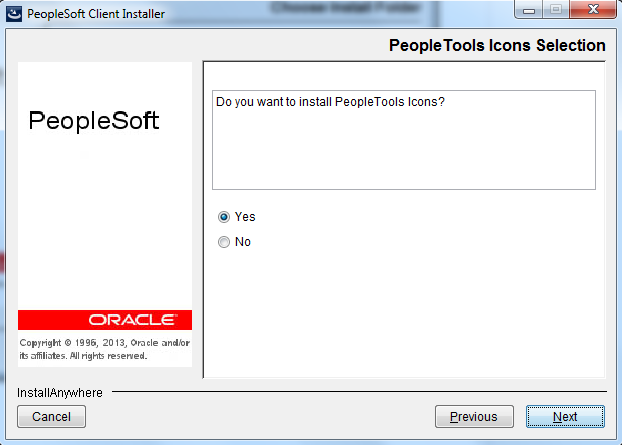 Go to Start > Programs and invoke PeopleTools Configuration Manager. 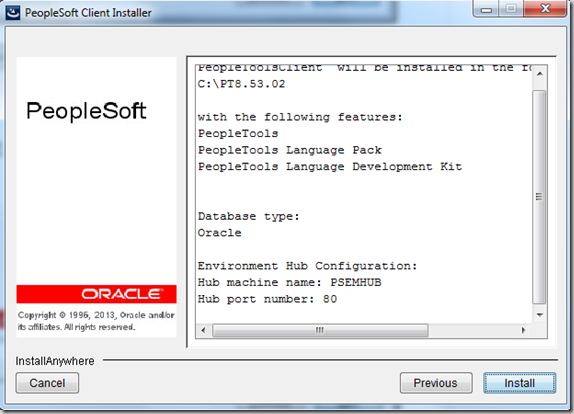 You would notice that all the configuration settings for the PeopleSoft Image are already in place and fields like database name, user id, connect id, connect password are populated. 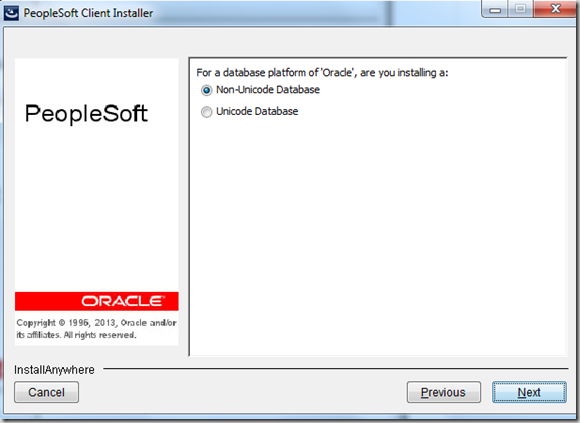 You can launch the application designer from the Start > All Programs. 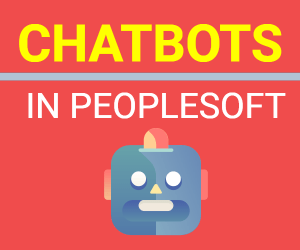 Incase of any issues, please post it in the comment section below.